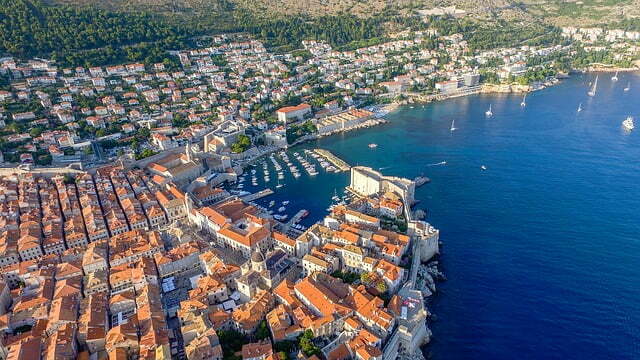 Croatia Drone Laws (although in the European Union but not exactly with them in the laws). An aerial photography application must be submitted at least 15 days prior to the flight, with a route, photographed objects, photography parameters, etc. This is a bureaucracy that entered in 2016 and apparently its role is to prevent private individuals from flying. The penalty for those who do not have a permit to fly and photograph is about 25 thousand buyers (about 3000 euros). What do you need to do for fly a drone in Croatia? With class 3 (25-100kgs) Zone 1 with B, Zone 2 with C, And zones 3 and 4 with D.
Additionally NO FLIGHT through night time frame !!!! Or, on the other hand FLIGHT from less then 150meters from gathering of individuals.